We are setting new levels for service unmatched in the industry, all while maintaining and strengthening our relationships with existing customers. For clients in a range of industries, US Premium Finance is becoming the premier choice to handle your insurance financing needs. 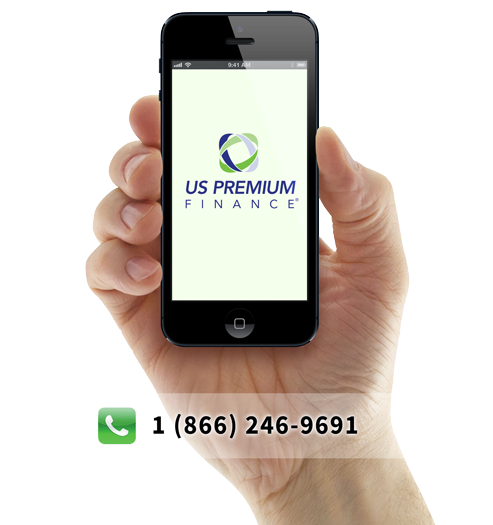 We are the industry’s preferred insurance premium finance company. Over our 27 year history, we have worked diligently to maintain our strong relationships with existing agency-partners and have consistently added new clients. Our white glove customer service is what has made all the difference. We work tirelessly to maintain our reputation of being courteous and responsive to our clients’ needs and innovative in the delivery and processing of your premium finance loans. Experience and Service! Our concierge-level service is formed by taking a fresh look at our product offering each day to affirm that we are providing a superior PF experience. The result, an A-list of agent-partners whose success we care about deeply. By providing professional and courteous service, easy to use software, and flexible terms we’ve attracted agents from the sub-middle market all the way up to the largest and most sophisticated – “Top 50” – Property and Casualty agencies in the country. We give our agents the competitive advantage they deserve through professional and courteous service, easy to use software, and great rates and terms. All supported by a highly experienced sales and service team. We work with the largest Property and Casualty agencies in North America, but our service ethos is that of a boutique company. We work relentlessly to deliver a user-friendly, path of least resistance finance option to our A-list agent-clients. Our competitive pricing and flexible terms are the best in the industry. US Premium Finance means partnership. US Premium Finance is more responsive and less bureaucratic than its peers. Our agency-partners experience this customer service ethos on day one. YOU’LL SEE! We will solve all of your insurance premium financing troubles. The financial services marketplace changes with extraordinary speed. We respond to this pace by embracing, and then fostering, entrepreneurship with each of our clients. Choice is important to you. With a range of compensation and funding solutions, our agents, brokers and insurance companies have options.